The Drone PowerPoint Template is a technology presentation of amazing shapes in relevant business industries. The drones are the virtually controlled aircrafts, also known as flying robots mostly use in military. Here, the template contains high resolution flat vector PowerPoint shape of drone with camera. 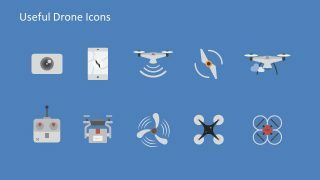 This is an infographic PowerPoint of useful icons and clipart designs to support the drone presentation topics. The PowerPoint template of drone can aid in enhancing the visuals of unman aircraft and militant technology presentation. However, this template is highly suitable to demonstrate the commercial use of flying robots. Such as, weather and traffic monitoring, photography, agriculture, delivery and much more. The Drone PowerPoint Template is an innovative slide deck to present the latest technology. It will engage the audience with esthetic designs to perfectly match today’s millennial viewer’s expectations. 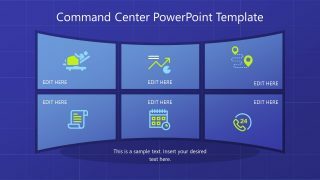 The PowerPoint shapes and cliparts have simple colors, layout and text placeholders with easy to customize template features. For example, double click the particular icon of the drone in PowerPoint. Next, go to drawing format menu bar and choose the desire color from shape fill or outline fill to replace in template. 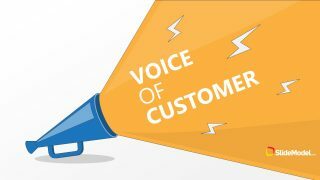 Further, resize the images, increase or decrease will not influence the quality of graphics. 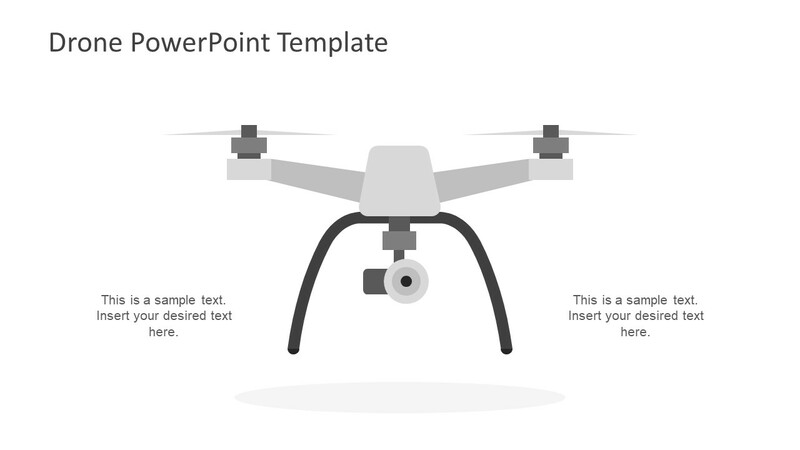 Hence, the drone PowerPoint template is 100% customizable set of shapes and icons. 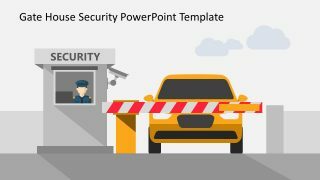 The flat PowerPoint of drone template has two slides with background color variations. 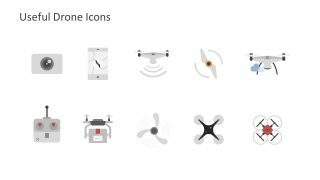 These slides contain the ten brilliant clipart icons of top, bottom and side views of drone. Furthermore, the drone illustration with signals portray the WiFi connectivity and clouds for storage. Similarly, the graphics also show camera, smart phone, joy stick and drone fan blades. These are the relevant graphics to assist in creating a visually interactive robotic technology PowerPoint from scratch. 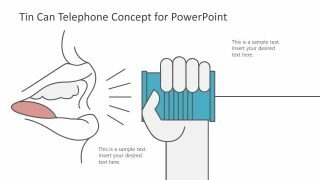 Moreover, the users can copy these shapes in PowerPoint drone template to support the content of existing presentation.